With every algorithm update by Google, the website designers are always looking for some powerful tools through which they can manage their social media efforts. Social media is one of the most effective ways in which you can target the best traffic for your business as the entire world is online on the social media. Generating new leads has become easier through the social media. But creating the right social media impact is not always as easy as you may find it to be. The website designers have to look for the right tool through which they can create the desired impact. If you’re a designer who is looking forward for the right designing tool, you can take into account the below mentioned tools. 1. 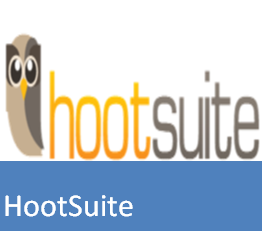 HootSuite: HootSuite is perhaps the most popular social media management tool for the business organizations and the people who wish to collaboratively execute campaigns across different social media networks like Twitter, Facebook and other websites from a single web-based dashboard. In fact, since the last few months, HootSuite has become one of the most popular tool for managing social media through which you can track different conversations and also measure the results of your campaign via web or even through the mobile devices. 2. 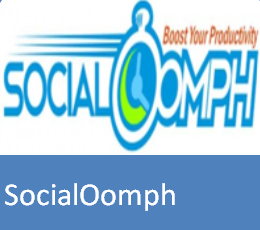 SocialOomph: SocialOomph is nothing but one of the easiest and the neatest web tool that offers you a host of free and paid enhancements of your productivity for the social media. You can do a lot with the website that includes different kinds of functions for Facebook, LinkedIn, Twitter, Plurk and your blog. You will also get tons of useful Twitter features like tracking keyword, scheduling tweets and viewing the mentions and also the re-tweets. SocialOomph will also auto-follow all the new followers on Twitter and this could save you ton of time. 3. 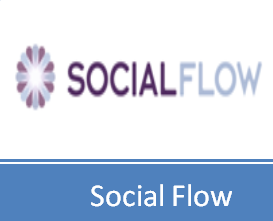 Social Flow: Social Flow is yet another interesting business solution through which you can watch real-time conversation on the social media in order to be able to anticipate the best times for publishing the right content to capture peak attention from the target audience. There are some major publishers that leverage Social Flow and some of the names include Mashable, National Geographic, The Economist and The Washington Post, to name a few. Through Social Flow, you ca look forward to expanded social media engagement and increase of revenue per customer. Social Flow offers an analysis of different social signals that can help identify the places where marketers could spend money. Website designers play an important role in shaping a website in such a manner that it can create the required social media impact. When it comes to enhancing the traffic to your website, you have to make sure that you don’t make any mistake that boomerangs in the near future. Ask your website designer to leverage the above mentioned tools to enhance traffic through the social networking websites and also make your website visible among the cut-throat competition.